Each morning I wake up, I can feel a slight bit of crispness in the air; for fall is on its way in Colorado. We are about to embark on the glorious month of September which means a change in color to the leaves, boots and sweaters, and unfortunately an increased likelihood that we may catch an annoying cold or even worse, the flu, in the months to follow. Fortunately, there is the age-old immune tonic known as Fire Cider to help keep the immune system in tip-top shape. Fire Cider is a combination of different roots, herbs, and peppers that are combined and soaked in apple cider vinegar (ACV) for one month. Traditionally, the ingredients include horseradish root, ginger root, garlic, and cayenne pepper in a 100% natural and organic ACV. For this season’s batch of Fire Cider, I mixed things up a bit and added a few different ingredients that I had growing fresh in my garden. Here is a list of what I used and why! Horseradish Root: This spicy root is an amazing antibacterial, it stimulates digestion, promotes sweating which is beneficial in fighting off fevers, and it aids in fighting off respiratory infections. Ginger Root: A wonderful aid at stimulating circulation throughout the body, ginger helps to warm the body making it more likely to fight off any pathogens that find their way in. It also helps to ease all types of congestion. Turmeric Root: This one is not as common of an ingredient, but it has grown to be one of my favorites. 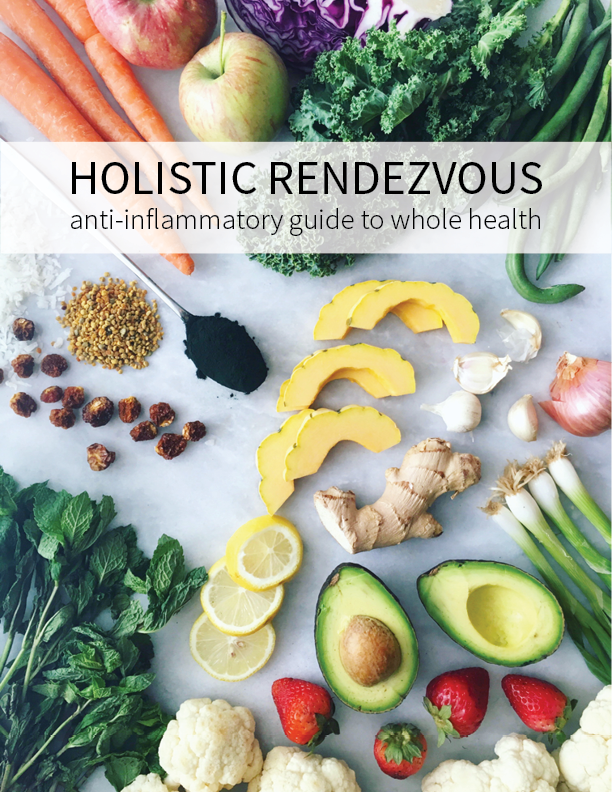 It is a natural anti-inflammatory, improves circulation, and increases the body’s capacity to hold antioxidants. Garlic: I love using this because it tastes so yummy in the end product. An added bonus is that it’s one of nature’s strongest antibiotics and antimicrobials. Rosemary: This herb stimulates the immune system as well as cognitive function allowing for clearer thinking and free flowing ideas. Thyme: A miracle worker when it comes to fighting off sinus infections, thyme is going to be one of my dearest companions over the next several months. Spicy Asian Peppers: I chose to go with these rather than cayenne peppers simply because I have a bunch in my garden. They hold the same spicy punch as cayenne so that they will stimulate circulation and immune function. Raw Apple Cider Vinegar (ACV): It tastes amazing and is great at boosting the immune system on its own. I recommend a brand known as Braggs because it is raw, thus still containing the important probiotics and enzymes found in fermented foods. 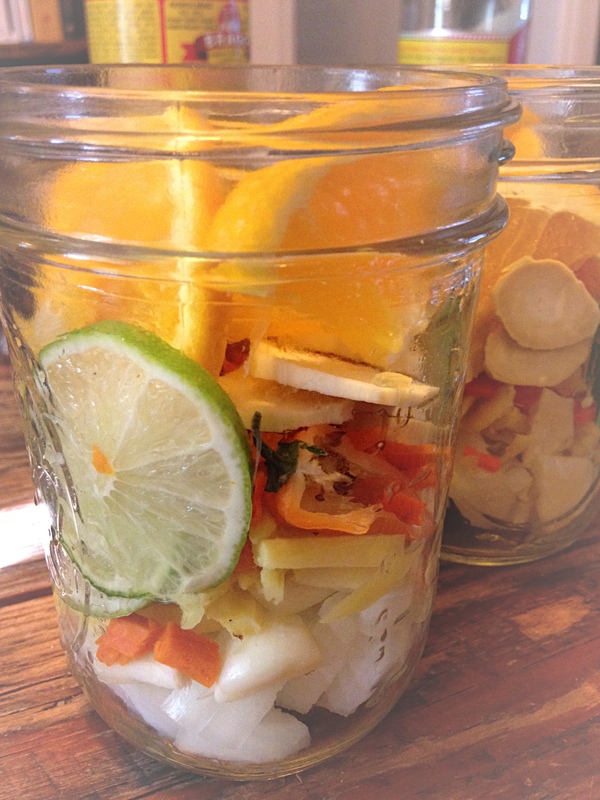 A tonic that is sure to fire up your immune system and warm your body! After choosing your ingredients, pile them into a 32oz mason jar until the jar is filled about half full. The ratios of ingredients are up to you and what you think you will like taste wise. Fair warning though, if you go heavy on horseradish and spicy peppers, your Fire Cider is going to have some serious kick! The only tip I have for this part is to chop your roots and peppers into about 1 inch pieces so that their constituents can be more readily extracted. I didn’t chop the garlic, rosemary, or thyme because I think they look beautiful floating in the jar whole as they steep over the next month. Once all ingredients are in, top off with ACV. Make sure the ACV covers your ingredients completely to prevent any molding. As your Fire Cider steeps over the next month (or more!) show your jar some love each day by giving it a brief shake. Once the month is up, strain out your ingredients from the ACV. You then can add honey to taste. I usually do anywhere from an ⅛ of a cup to ¼ of a cup. Store your cider in the refrigerator once strained. For an immune tonic (meaning you are taking the cider to keep your immune system healthy but are not currently sick) take one tablespoon a day. Upon illness: If you do happen to catch something, up the dosage to 4 or 5 times a day until symptoms reside. Some fun ways you can incorporate your cider into your diet is as a salad dressing or as a meat or vegetable marinade. The jars should be stored in a dark closet as the cider steeps for at least one month, but feel free to let it steep for longer! These jars are truly gorgeous, so pulling them out of hiding for a little love is always fun! Remember to get creative here! We added lemons, limes, and oranges to a batch as well as cinnamon bark. You could even throw in some rose hips, so don’t be afraid to experiment! What ingredients would you add to your fire cider? Have you tried making fire cider before?! Let us know and post pictures of your beautiful jars with the #holisticrendezvous!